Abe Lincoln is worried. He cannot find his hat anywhere. Will his friends help him find it? Frederick Douglass is busy writing a book. Clara Barton is busy nursing wounded soldiers. From Harriet Tubman and Sojourner Truth to Ulysses S. Grant and Thaddeus Stevens, nobody seems to have the time to join the search Will Abraham Lincoln find his hat in time to deliver the Gettysburg Address? 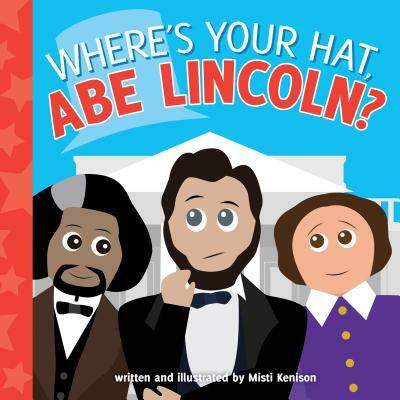 This colorful and humorous board book primer features some of the most prominent figures of American history and introduces historians of all ages to our 16th president, the Emancipation Proclamation, and other moments in the incredible beginning of the United States of America. Includes a timeline of events connected to the U.S. Civil War and mini-biographies of all the historical figures featured.